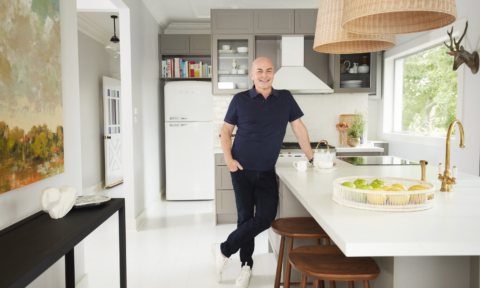 No question, the renter’s life is far from glam. 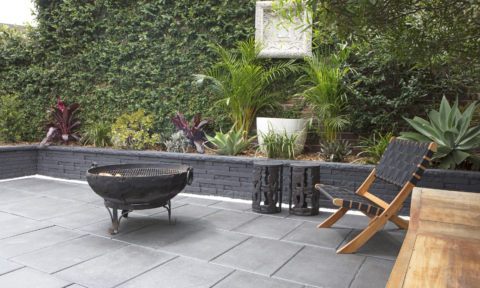 But your decor doesn’t have to follow suit. A little out-of-the-box thinking is all you need to transform your space into a home sweet haven. Sure, there will always be those boxes that you cart from place to place unsure of their contents but too frightened to investigate. 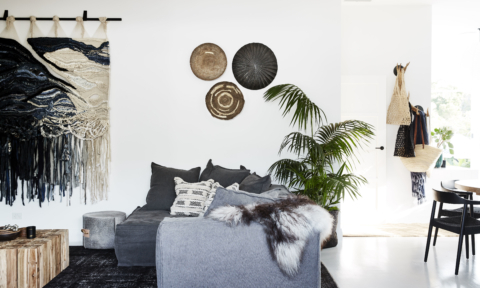 But cloaked in a nice throw and arranged around a coffee table, these can double as a boho-chic living nook. But jokes aside, decorating your home-on-loan is difficult. For one, there’s the investment and effort vs length of stay ratio to consider. But a few quick and simple (and cheap) adjustments can go a long way. After all, time has a way of getting away with you. And a refuge from the outside world is the most must-have of must-haves. 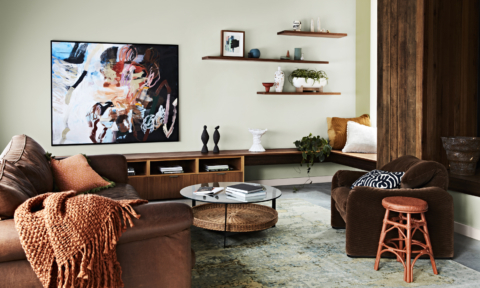 So today, we’re turning to your living space and we’ve put together a few easy DIY tips to make your space more livable. 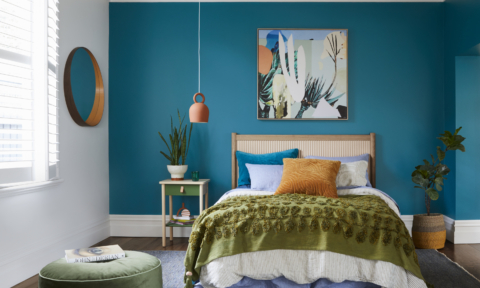 Dabble Magazine proves you can change the world with two paint colours, painter’s tape, a metal ruler, a level and a little DIY know-how. Above, they show us how to achieve a geo-chic look with just a little patience. Can’t paint? Washi tape is to DIY decor what half a toothpick is MacGyver. It doesn’t look like much but it can save your life. Washi tape is the perfect antidote to too much beige. 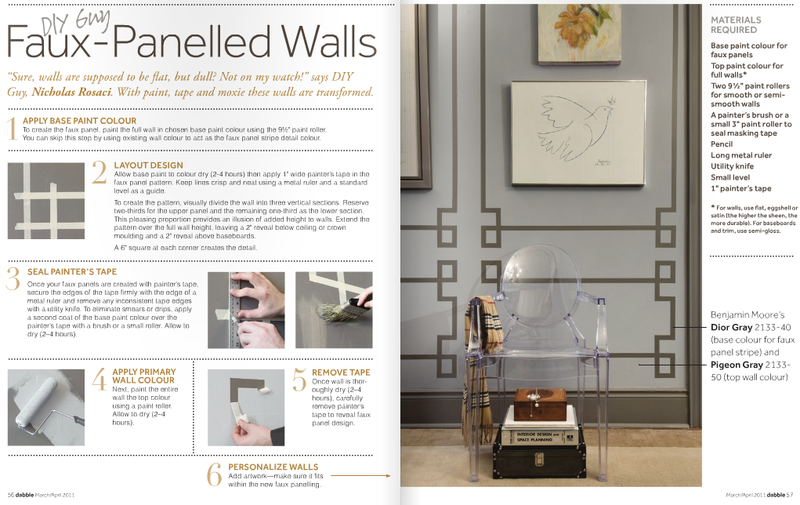 Apartment Therapy also have some great suggestions for removable wall-panelling options. 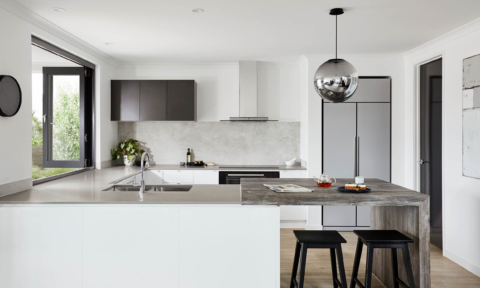 Love that urban-industrial warehouse style? 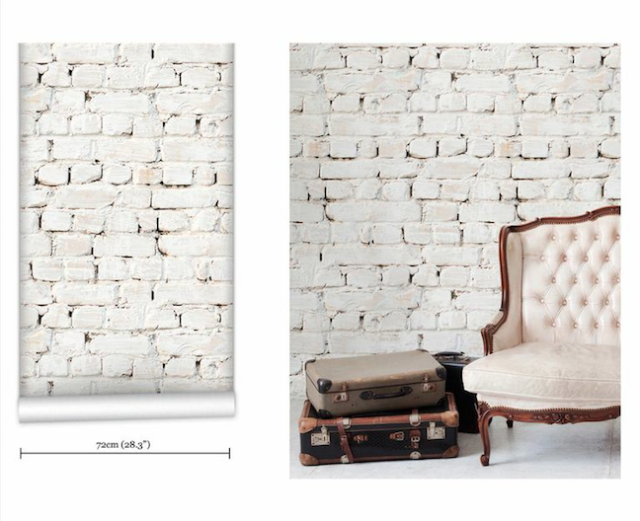 Introduce exposed-brick walls into your space with easy-to-apply wallpapers. Obviously this is asking for a more flexible landlord, but if you don’t ask, you don’t get. And if you’re planning on staying there a while, this kind of investment gives back ten-fold. We love that chintz meets lace look. 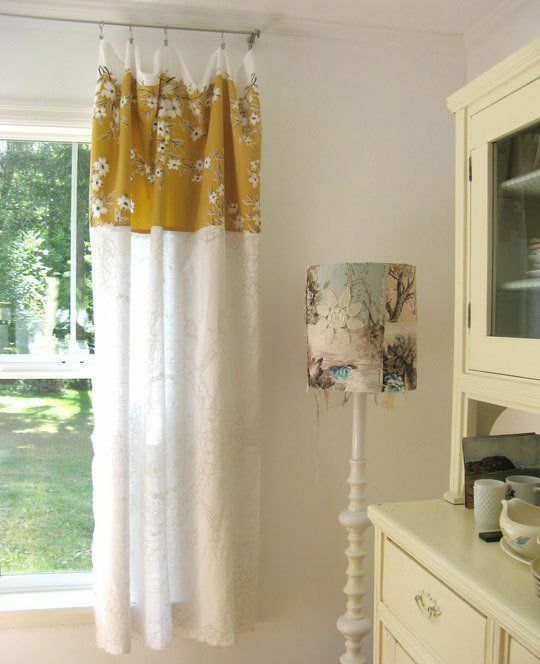 You can create your very own window valances (use lace tablecloths) or curtains (use floral and patterned) with minimal fuss. 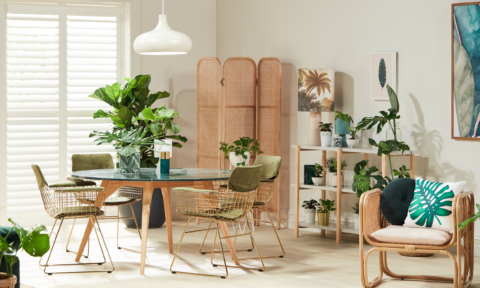 Shop your local Vinnies to add some serious-nana style to your space. 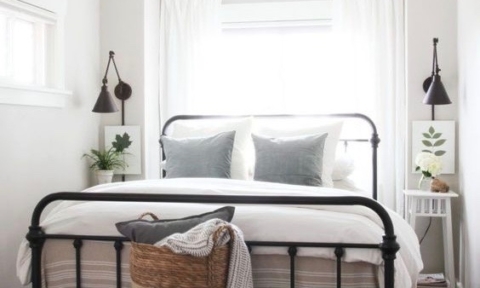 You can find curtain rings with metal clips attached for this uber simple make-over at the likes of Spotlight. 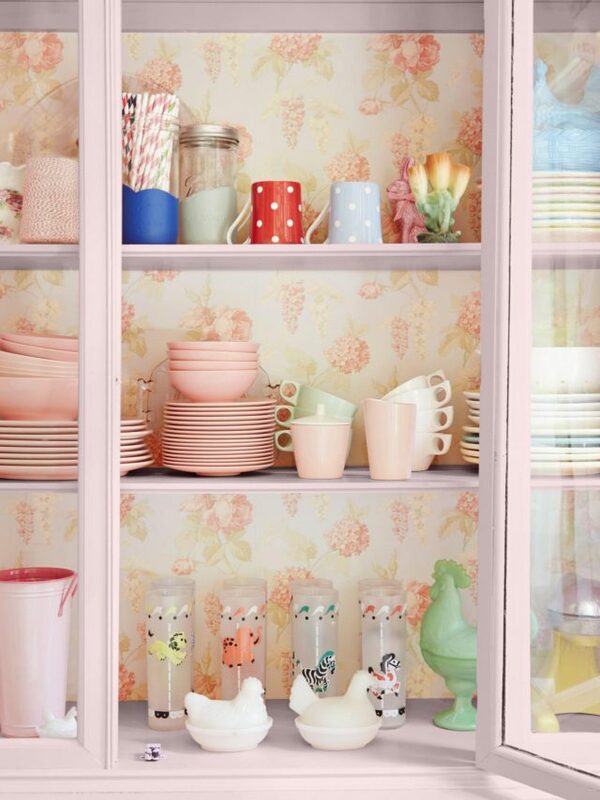 Better yet, line behind, underneath, even on top of your shelving. 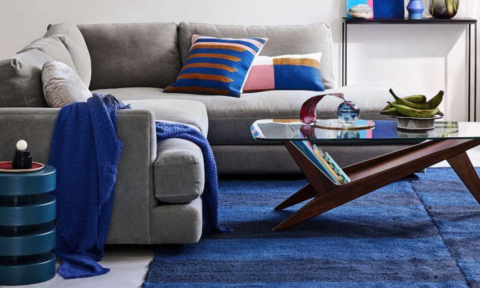 Adding colour in unexpected spaces adds individuality to your home. Plus it keeps it neat and chic. And it’s easy to re-line with plain white when you leave. 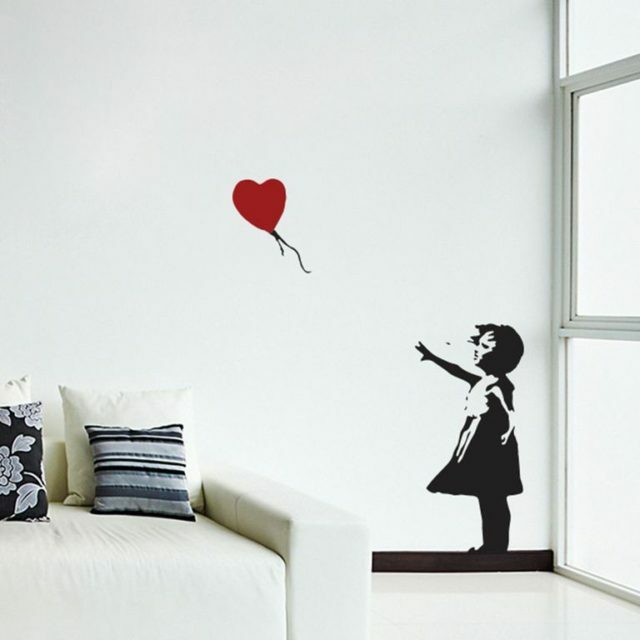 Removable wall decals redefine your space instantly and peel away when you have to leave. And there is an almost infinite number on the market – from Banksy designs to quotes and iconic rockstars. Can’t argue with that. 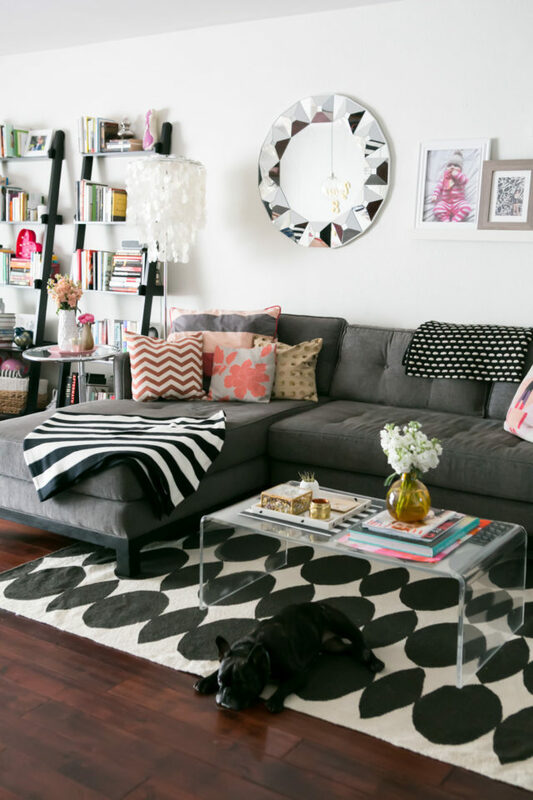 Here’s to making a little sanctuary for yourself in your rental home! Go forth, chickens! Nest! — Kay Harrison is a feature, blog and copywriter. She has work published in ACP magazines, ABC fiction, Overland, Seizure, trade publications and online forums and her creative writing has won several awards. Kay wrote this piece for Zanui. Is there a source for that trompe l’oeil exposed brick wallpaper? Thanks!